This holiday season you can share the joy of reading while supporting local authors, independent booksellers, and charities alike when you purchase titles from the list below as gifts or as a donation to a worthy cause. and share books by our Published And Listed authors’ and illustrators’. ​Purchase one or more for gift or charity!! ​You may order books using the PALS for the Holiday’s Order Form posted on their website. 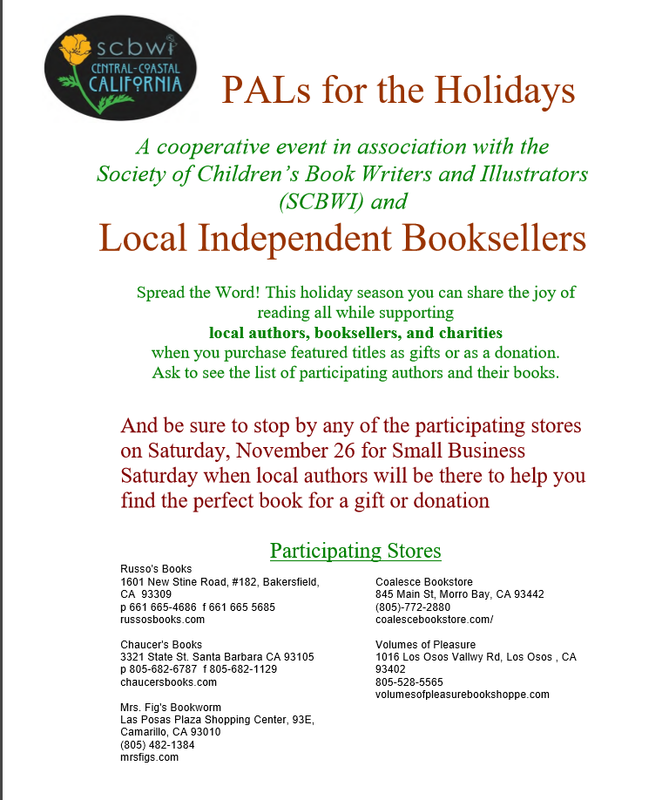 Attend a Special Event!Help support our local PAL’s by stopping by any of the stores belowSaturday, November 26!